When Apple joined the Wireless Power Consortium (WPC) early this year, it became clear that we would see an iPhone with wireless charging. What we did not know for sure is whether this feature would be available in this year's generation. Today we have our answer: the new iPhone X, iPhone 8 and iPhone 8 Plus all come with wireless charging support out of the box. And, for users to take advantage of this functionality, Apple also announced a wireless charging pad, called AirPower. 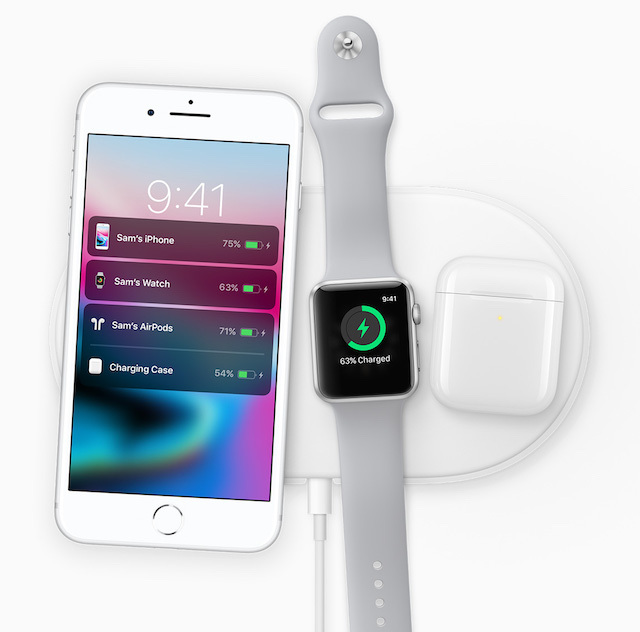 The AirPower is designed to charge multiple devices at the same time. Apple says that you can use it with an iPhone X (or iPhone 8 or iPhone 8 Plus), Apple Watch Series 3 and a pair of AirPods at the same time, though in the case of its earbuds you will need a dedicated case to take advantage of this feature. Apple has not revealed much other information about the AirPower, but it does say that it is underpinned by the Qi standard -- just like the latest iPhones. That means you will be able to use them with other Qi-enabled wireless charging pads and devices, which can only be a good thing for customers who have already invested in this technology. Apple does not say how much the AirPower will cost when it will be officially available in 2018, but you can expect it to come at a premium given its multi-device support and the market that it targets.